Not Just Directorial Debut Shelly Chopra Dhar Also Makes Her Acting Debut With Ek Ladki Ko Dekha To Aisa Laga? Director Shelly Chopra Dhar, who is making her directorial debut with Ek Ladki Ko Dekha Toh Aisa Laga, most likely to have a cameo in the next song ‘Ishq Mitha’. The Punjabi wedding song will feature glimpses of the director, it is a reprised version of the 90’s iconic song, the original song features Jas Arora and Malaika Arora and is a top favourite amongst the Punjabi weddings. Checking off ‘Dance with @AnilKapoor to a wedding song in a film’ from my bucket list. #IshqMitha releases soon. 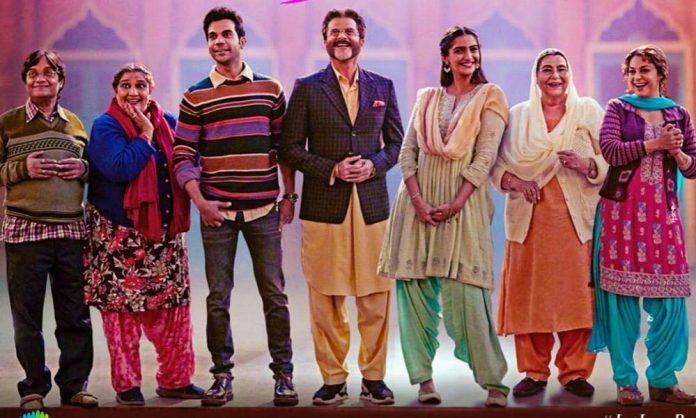 The title track has been loved by all the audience and the makers of Ek Ladki Ko Dekha Toh Aisa are all set to treat the audience with the Ishq Mitha track tomorrow. Ek Ladki Ko Dekha Toh Aisa Laga’ has an ensemble cast of Anil Kapoor, Sonam Kapoor, Rajkummar Rao & Juhi Chawla. Next articleNo Laundry For Team Sonchiriya, Here’s Why!